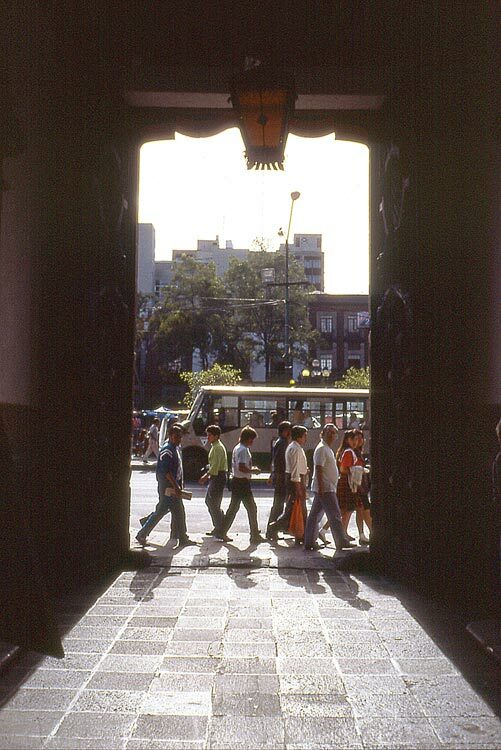 On the corner of Pino Suárez and República del Salvador streets the stone serpent welcomes visitors to what is now Mexico City’s ‘Museo de la Ciudad de México’ (City Museum). 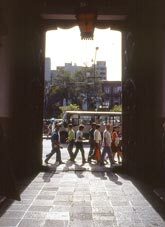 The Museum is housed today in a magnificent Mexican baroque building (restored in 1992) that dates back first to the 18th. 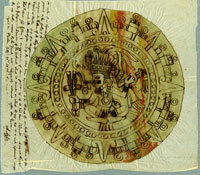 century when it became known as the ‘Palacio de los Condes de Calimaya’, and then further still to the early years of the Spanish Conquest. 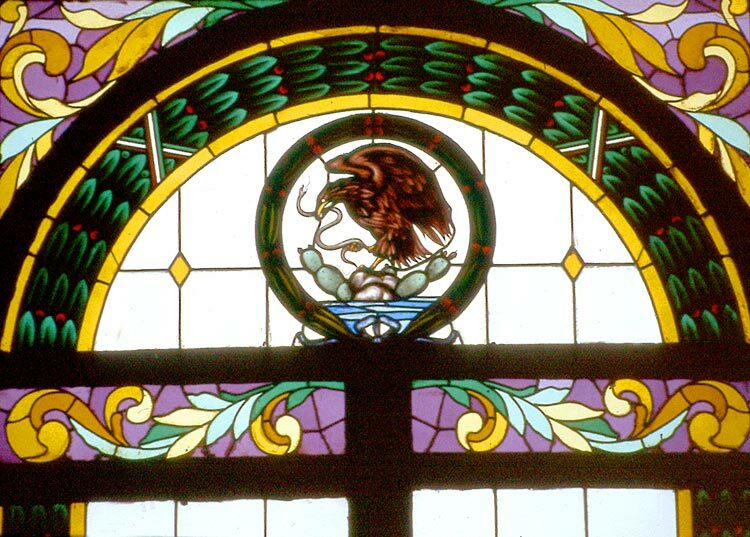 The original was constructed for one of Hernán Cortés’s key supporters, Juan Gutiérrez Altamirano (ex-Governor of Cuba), who arrived in New Spain just 6 years after the Conquest. 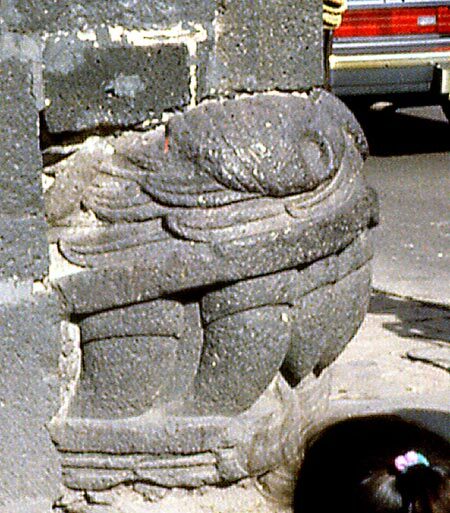 On a prime site close to the ceremonial centre of the Aztecs, Altamirano’s mansion included - by whose command we may never know - a stone serpent that may well have stood originally at the base of the Aztec Main Temple. One such monumental Aztec serpent’s head, measuring nearly a metre high, a metre wide and 1.5 metres long, came to London from its home in Mexico City’s National Anthropology Museum for the Aztecs exhibition at the Royal Academy. Identified as the head of a rattlesnake, it has scales and four sharp teeth at the front and a pair of fangs at either side. 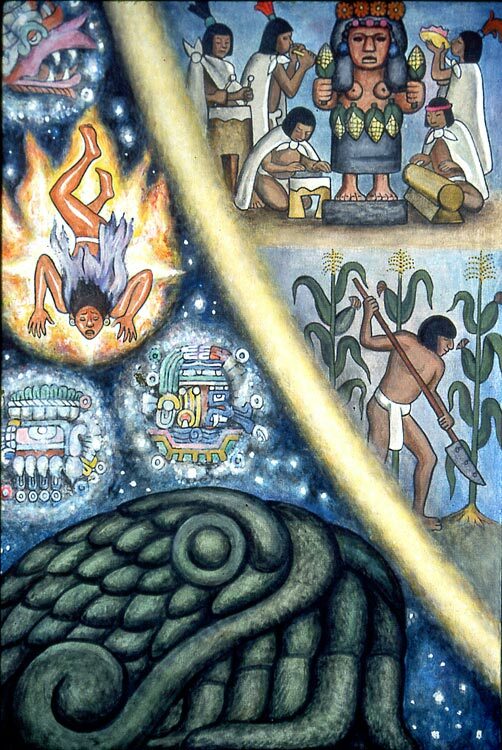 ‘Similar sculptures graced the stairs of the pyramids at Tenochtitlan, guarding the temples of the supreme Aztec deities’ (from the RA catalogue). 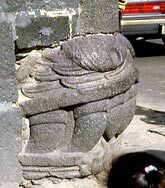 Just a nice tidbit on the snake head at Calimaya’s house: It is highly probable that this stone originally formed part of the protective wall (coatepantli) surrounding the templo mayor. 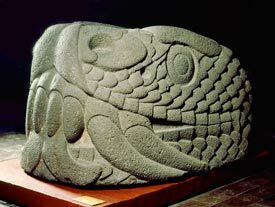 Coatepantli literally means wall of snakes; so this kind of wall, known to have existed in many prehispanic temples, was formed with the statue bodies of feathered snakes. Its function was to provide both a visible delimitation of sacred ground and protection for it. Mexicolore replies: Cheers, Gael! Thanks so much for writing in and providing this fascinating new information. Happy New Year!